Tasty, tangy and perfectly formed, our Aladin Tomato Potato Chips are deceptively complex. 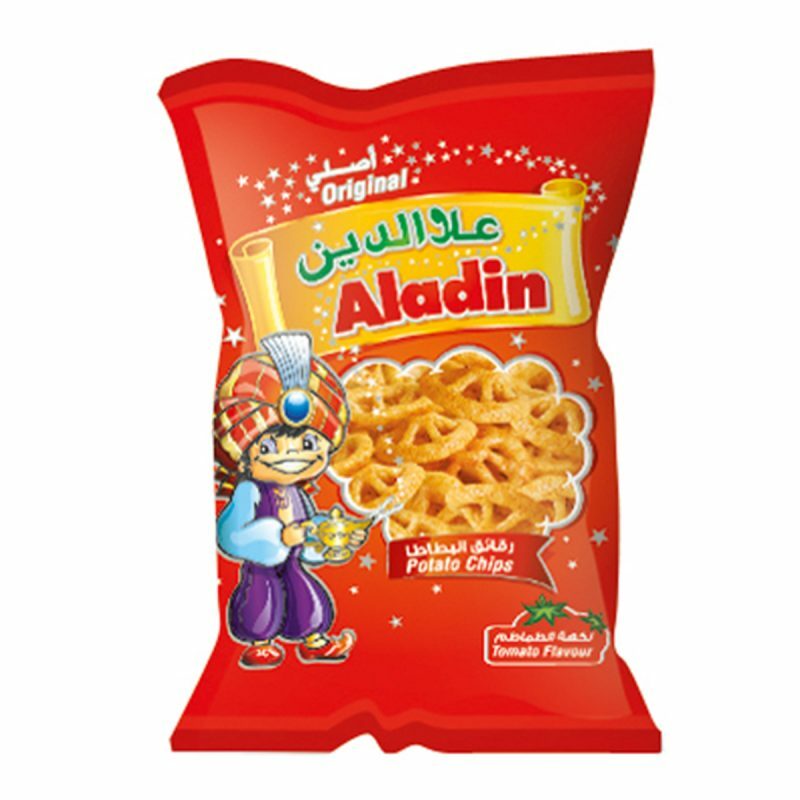 The unique Aladin blend of natural tomato flavour, herbs, spices, chilli pepper, onion and garlic will leave your mouth zinging. 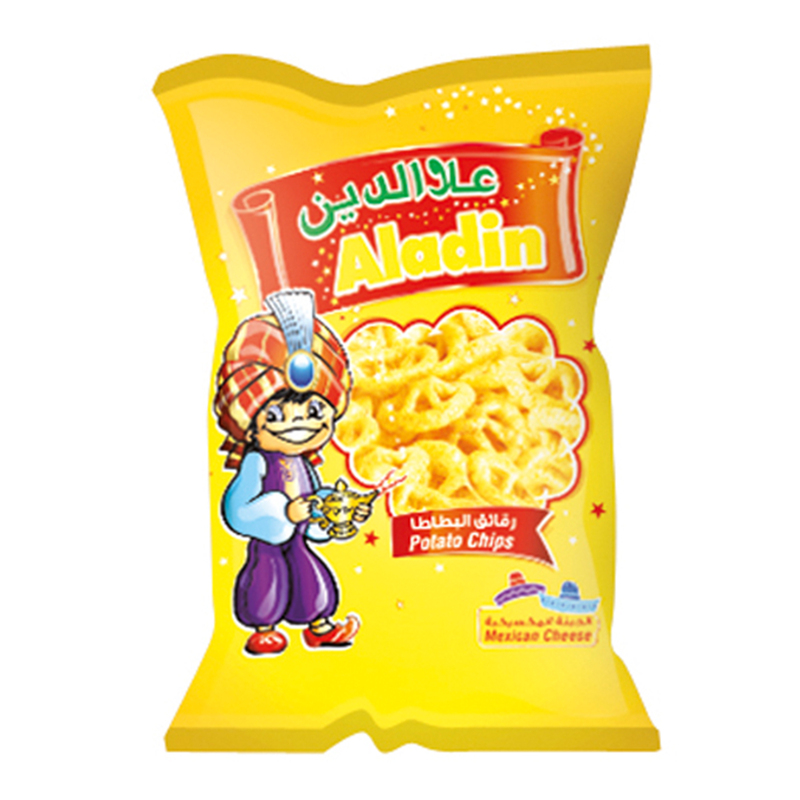 Aladin Aladin Potato Chips – Tomato (15gm) 15gm Packet. Potato Snacks, Non GMO, No Preservatives, No Artificial Flavours, No Artificial Colours, No Transfat, No Cholesterol, Halal. Those are just my favorite ones!